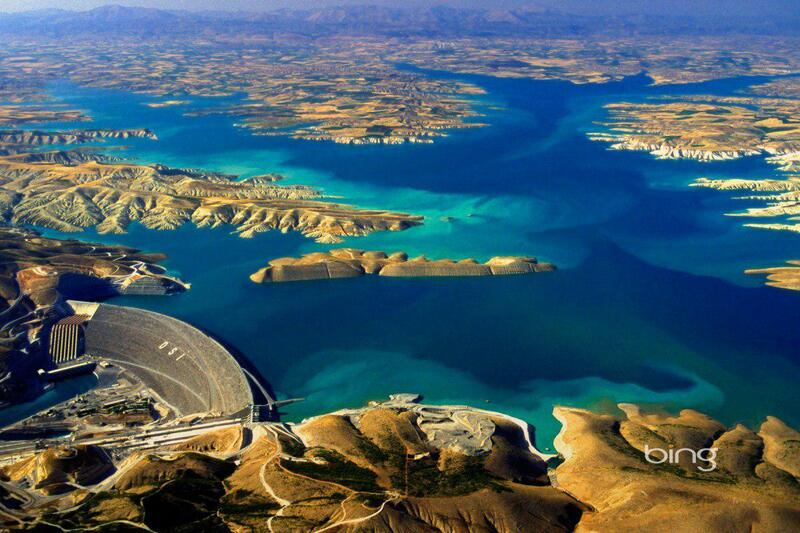 In the 1980’s there was a music festival in southeastern Turkey called GAP (Turkish for Güneydoğu Anadolu Projesi), named after one of the largest sustainable development projects in the world which included the construction of 22 water dams and 19 power plants in the region . A short online search showed that the GAP Festival has disappeared without a trace even on the internet. In October 1989, I went on tour in the region with a chamber orchestra. Th-20e ensemble was made up of younger members of the Turkish Presidential Symphony Orchestra, based in Ankara, of which I was also a young member. 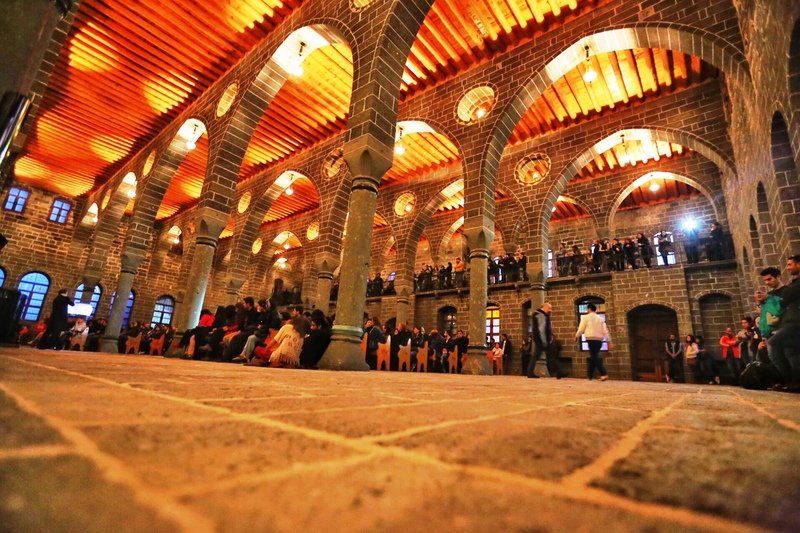 We performed at a sports hall in Şanlıurfa, a modern theatre stage of the Turkish State Theatres in Diyarbakır and at a former church dating from the 1860s, then used as a meeting hall of the Ministry of Education, in Gaziantep. Our concert there coincided with a major football game between Turkey and Russia. When the concert time had come, it was difficult for the members of the orchestra to give up a small TV screen they had found in the cafeteria and go to the stage to perform. To our surprise the rather large auditorium was packed without a single free seat. The audience even included ladies with headscarves which weren’t as common at the time. 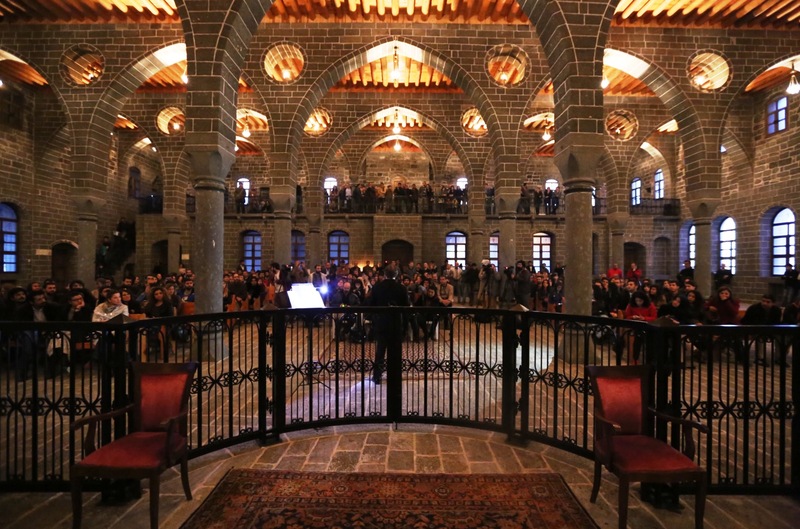 The people of Gaziantep had chosen a classical music concert over an international sports event. This was a major indication of their hunger for concert music and the arts. 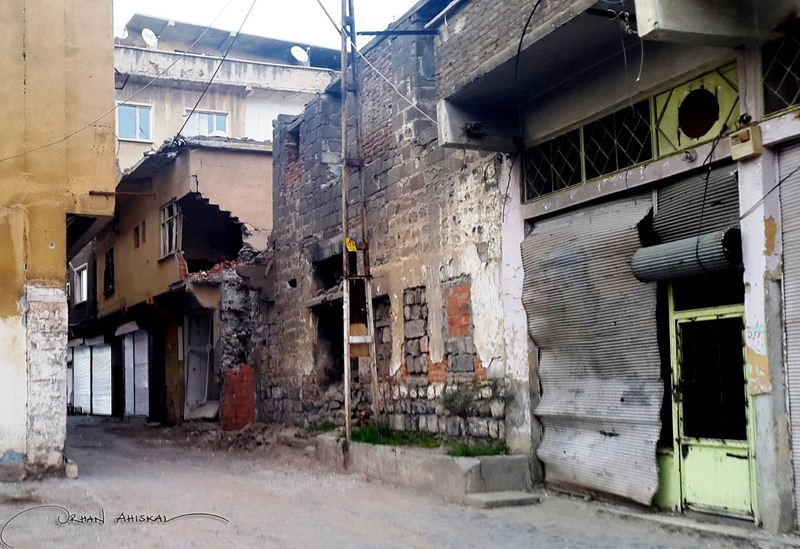 Decades later, in April 2015, I was back in Diyarbakır with my “Düştüm Yola” (“I Hit the Road”) Project invited by the Municipality of Greater Diyarbakır. One of the churches at Sur (the district inside the city walls), Surp Giragos Armenian Church, had recently been restored and reopened. It was a wonderful place for a solo violin recital (see cover picture and below), constructed almost entirely of gray, cut stone and covered by a wooden ceiling. A foundation had taken the responsibility of maintaining the church, opened a café in the stone courtyard and they had even started to produce their own wine in the basement of a small building across the narrow courtyard. 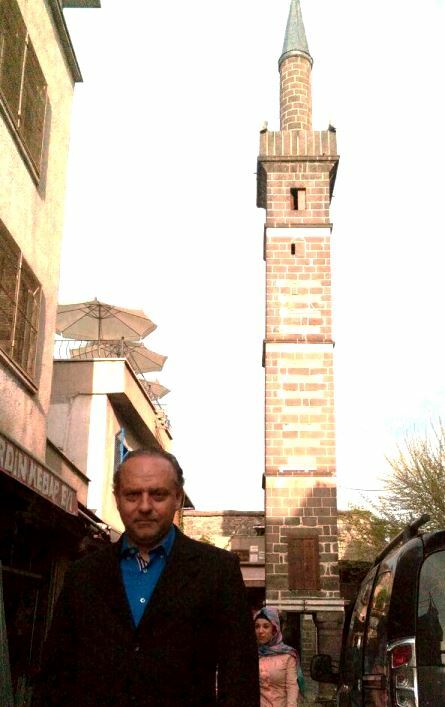 I went for a walk before the concert, had a picture taken in front of the Dört Ayaklı Minare (Four-legged Minaret)  dating from 1500 and had a cup of menengiç coffee  at the Sülüklü Han , an Ottoman inn dating from 1683. However, unlike in 1989, I did not have a chance to climb rather precariously the 12-meter-high city walls through some alleys and tunnels, where the locals kept sheep and poultry or to talk to the children, who spoke a language I did not recognize only to find out after I had had a chat with them that it was Zaza  they were speaking. I still vividly recall the view that greeted me when I had reached the top of the walls well after sunset: a full moon like a sliver plate rising above the hills across the river Tigris illuminating the historic Hevsel Gardens which lay below my feet between the walls and the river. It was a view that transcended time. As the time neared for my recital, a problem occurred to me. The lights at the church were too few and too weak to light up the inner space let alone the minuscule looking notes cramped on a couple of sheets sitting on my music stand. A group of young people were alerted and in a few minutes two clip-on reading lamps were produced. The recital program was a difficult one, both to play and also to listen: Söyleşi by Muammer Sun, Sonatina in One Movement by İlhan Baran and the Partita for Violin Alone Op. 36 by Ahmed Adnan Saygun. As part of my project’s mission I was performing rarely or never performed works by Turkish composers and all the works in the program were rather avant-garde sounding. I also premiered a new piece written for this occasion by Rohat Cebe, a Kurdish composer from Diyarbakır. The church had approximately three hundred seats I was told and soon they were all full. Extra wooden chairs were brought in and once they were also all taken, people began to line up along the side walls and the balcony standing (see cover picture). Without delay I began my explanations of the pieces and played the hour-long program. Even though the concert was over, it did not look like the audience was ready to leave and inspired by the mystic atmosphere of the dimly lit church I encored with a movement from one of the Bach unaccompanied sonatas. Whenever a heavy program as this is to be performed at a location where no regular concerts are held, it might be said that such a program would not be understood or appreciated by the listeners and it is pointless to do such a thing. When we were to perform Necil Kâzım Akses’ first string quartet of 1946 at a festival at Algiers, we had heard similar remarks. Who would appreciate Akses in Algiers! The audience however, seated the historic three-balcony opera house built by the French, roared and clapped even at the end of the slow second movement. On April 15, 2015, Saygun was received in the same way at Surp Giragos. But something went wrong last summer after my recital. 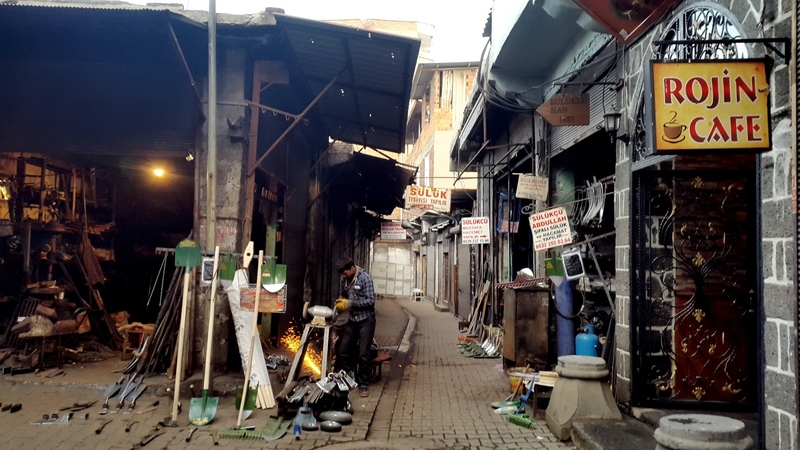 Tahir Elçi, the head of the Diyarbakır Bar Association, was assassinated right in front of the Dört Ayaklı Minare as he was holding a press conference condemning the violence that had erupted after the general elections in June . The walls I had climbed years before became the scene of a brutal war. Sur district was watered by blood. Sounds of bullets and bombs replaced the sounds of music. Not only the houses but historic places were also harmed. But foremost, lives were harmed, destroyed. Some images on the internet showed that the newly-restored Surp Giragos returned to the ruined state it had just escaped. 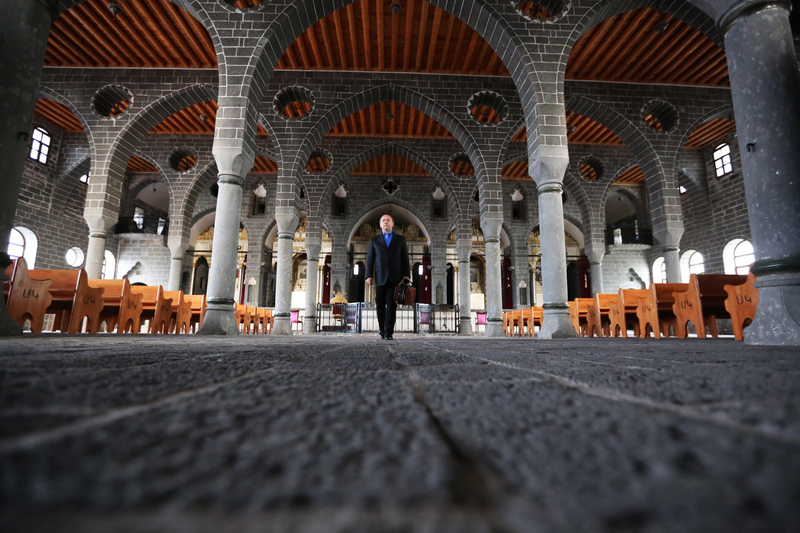 I was recently back in Diyarbakır. 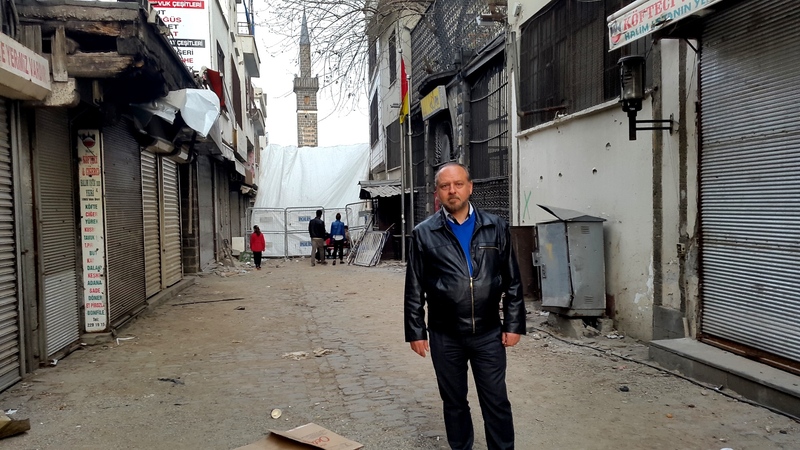 Events at Sur had calmed down I was told, so I wanted to see Surp Giragos, the Dört Ayaklı Minare and Sülüklü Han. As we drove into the old walled district, Sur, security personnel stopped us. We opened the car trunk for inspection and, not surprisingly, my luggage and violin case raised suspicion. they called out. They thought I was a foreigner (which is not an uncommon experience for me in Turkey) and when I produced my university ID they appeared a little embarrassed, however, there was no reason for embarrassment. They were doing their jobs. Inside the nine-thousand-year-old walls, which were included in UNESCO’s World Heritage List in 2015 , it really was calmer. The bustling streets of only last year had far fewer people and those appeared worn out and reluctant. Ditches formed on the roads by explosions were haphazardly filled with cobble stones and quiet seemed to have returned. I was not able to see Sülüklü Han. I was not able to see Surp Giragos. 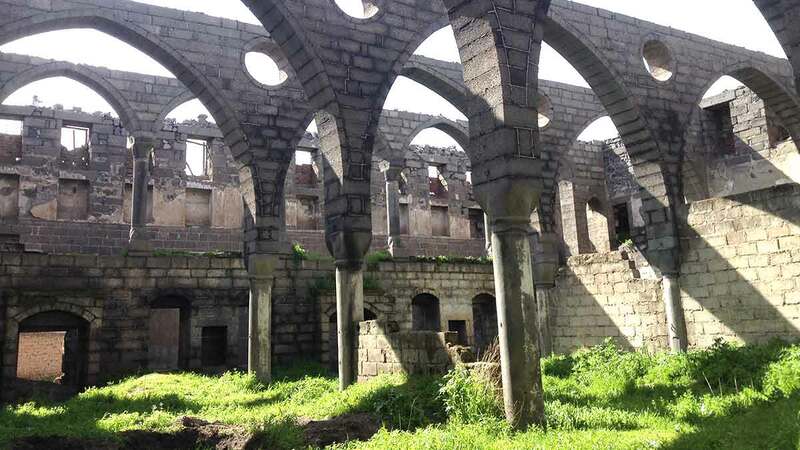 As I stood there, a few notes of Saygun, Bach, Baran, Sun and many others that had been lingering about its stone walls and wooden ceiling were suddenly muted by nearby explosions. 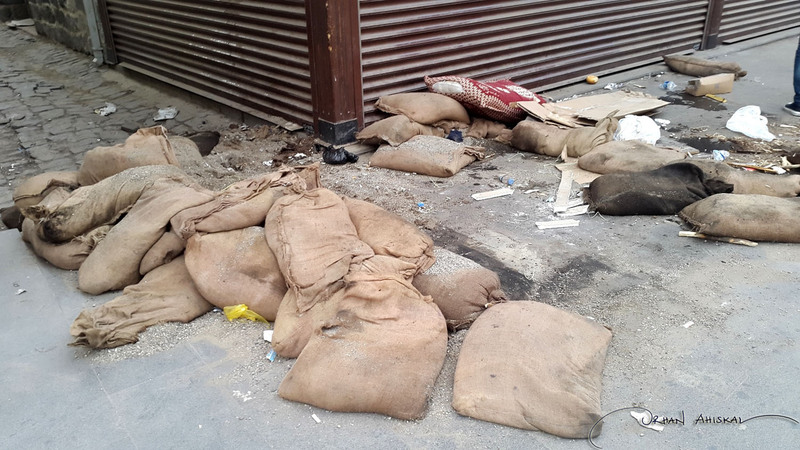 The security forces were cleaning mines and booby traps behind the covered area. The sound of the explosion seemed to create a sense of fear in the few people walking around and we also decided to leave the area. As I was walking toward the dark brown walls, all I could do was hope for the sound of music to return, replacing that of guns in Surp at Sur. That’s one tough looking violinist. Looking good, Orhan. Be well. Stay safe.